This post that hopes to explore and discover the local tourist spots, attractions and destinations in Oton, Iloilo, is also dedicated to the promotion of its tourist spots, attractions and destinations. This post also hopes to gather the right balance of information for an enjoyable online experience. If you're a local resident or have gone to Oton, Iloilo, what would be your recommendations for someone or tourists visiting Oton, Iloilo? You have read this articleHotels / Iloilo / Iloilo Tourist Destinations / Iloilo Tourist Spots / Oton / Oton Tourist Destinations / Philippine Tourist Destinations / Tourist Destinations with the title EXPLORING TOURIST DESTINATIONS IN OTON, ILOILO. You can bookmark this page URL https://thehalflifeoflinoleum.blogspot.com/2014/01/exploring-tourist-destinations-in-oton.html. Thanks! 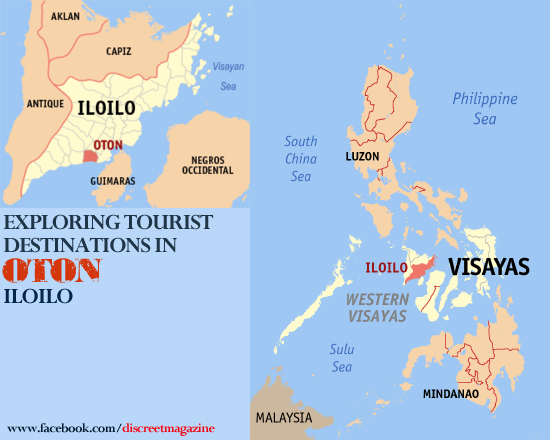 Comments "EXPLORING TOURIST DESTINATIONS IN OTON, ILOILO"